&ldquo;I don&rsquo;t feel like it&rsquo;s something I&rsquo;ve ever felt like I have to explain about myself." As far as his own sexuality is concerned, Styles says he’s “never felt the need” to use a label. “I don’t feel like it’s something I’ve ever felt like I have to explain about myself,” he told Wootton, before taking the stage in North London at his first-ever solo show. 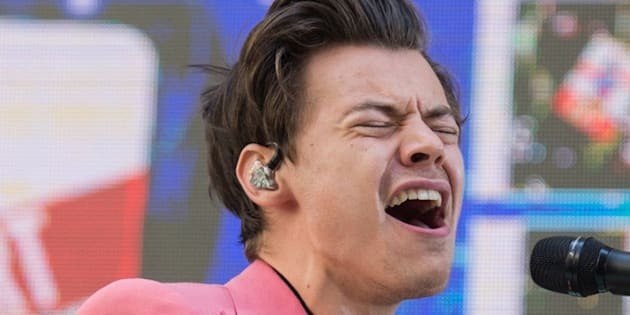 This news probably won’t surprise diehard fans, some of whom believed he was in a secret relationship with band mate Louis Tomlinson and others who have been trying to pin down his exact sexuality for years. In 2013, the 23-year-old singer addressed rumors that he was dating TV and radio host Nick Grimshaw in an interview with British GQ. A year later Styles faced more rumors after appearing on “On Demand Entertainment” with band mate Liam Payne. When the pair was asked about their favorite traits in a woman, Payne responded, “Female, that’s a good trait.” Styles shot back, “Not that important” ― which, predictably, sent the internet into hysterics. Regardless of how Styles does or doesn’t identify, his approach is as trendy as ever. A recent YouGov survey found 43 percent of respondents between the ages of 18 and 24 viewed themselves as something other than completely straight. What’s more, the poll found that “people of all generations now accept the idea that sexual orientation exists along a continuum rather than a binary choice,” with 60 percent of heterosexuals and 73 percent of gay people supporting this idea. “I don’t feel like it’s something I’ve ever felt like I have to explain about myself."